Approximately 700 people gather at the Rabin Square for a prayer vigil for the safe return of the three abducted students. Approximately 700 residents of Tel Aviv and the vicinity gathered on Sunday evening at the Rabin Square for a prayer vigil for the safe return of the three yeshiva students who were kidnapped in Gush Etzion. 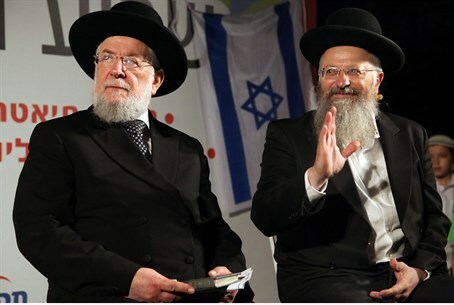 The prayer rally was attended by the Chief Rabbi of Tel Aviv, Rabbi Yisrael Meir Lau, Rabbi Shmuel Eliyahu of the city of Tzfat, and Tel Aviv-Yafo Mayor Ron Huldai. Rabbi Lau, who led the crowd in the reading of Psalms (Tehillim), called for the quick return of the three boys. “We must not wait so long as was the case with Gilad Shalit,” he said. The prayer rally in Tel Aviv was indeed the latest in a series of prayer rallies throughout Israel. Earlier Sunday, the Ashkenazi and Sephardic Chief Rabbis of Israel led a mass prayer gathering at the Kotel for the three abducted youths. Also on Sunday, hundreds of national-religious schools across Israel held a mass prayer session for the safe return of the three.